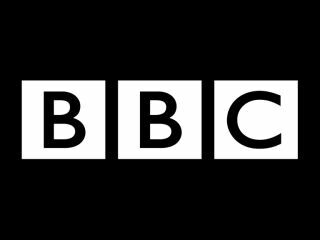 The BBC has outlined its stance on net neutrality in a blog this week, explaining that a trend towards traffic management by UK ISPs is "worrying". Erik Huggers, Director, BBC Future Media & Technology, says in the blog – which is titled 'Net neutrality and the BBC' – that: "the BBC recognises that traffic management may sometimes be necessary for technical reasons – for example to cope with legitimate network congestion. "But this should be the exception. An emerging trend towards network operators discriminating in favour of certain traffic based on who provides it, as part of commercial arrangements, is a worrying development." The reason Huggers and the BBC believe that traffic management is "worrying" is because it could cause a two-tier internet. "For companies that can pay for prioritisation, their traffic will go in a special fast lane," notes Huggers. "But for those that don't pay? Or can't pay? By implication, their traffic will be de-prioritised and placed in the slow lane. "Discriminating against traffic in this way would distort competition to the detriment of the public and the UK's creative economy." While this isn't a new argument it is interesting to see the BBC take measures to make sure that traffic management doesn't become a problem. In the blog Huggers stated that the BBC has spoken to Ofcom and the European Commission about the situation. "This innovative and dynamic ecosystem, that enables huge public value, could be put at risk if network operators are allowed to use traffic management to become gatekeepers to the internet," notes Huggers. The BBC is becoming more and more reliant on ISPs, this is due to the sheer popularity of the iPlayer. Because of this, the BBC has a vested interest in making sure that all users of the iPlayer have the best experience with the service and are not stifled by web bandwidth.